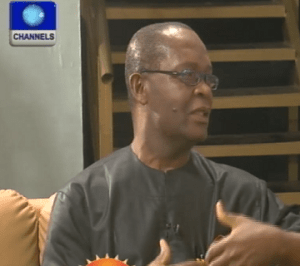 The Public Relations Officer,( P.R.O) to the All Progressives Congress, (APC)Lagos state, Joe Igbokwe says that General Muhammadu Buhari is the right presidential candidate for the party because of his experience in the military and the present state of the nation. “We are looking for somebody that will build the nation, that will redirect the nation and heal the wounds that has been inflicted on the nation for the past years” he noted. He added that Gen. Buhari was the right candidate amongst other aspirants form the party and was not about money. Former Minister for Works, Senator Seye Ogunlewe has congratulated Gen. Buhari on his emerge as the presidential candidate of the All Progressives Congress (APC) saying it is a “well deserved win”. He said his personality is respectful because of his achievement during his regime. Sen. Ogunlewe noted that the presidential election between Gen. Buhari and president Goodluck Jonathan will be a tough one.